Mitchell Johnson made his name as a tearaway fast bowler in cricket, but he's gearing up for a different kind of speed now. Having retired from all forms of cricket in August this year, the 36-year old former Australia quick is set to make his motor racing debut this weekend at the Barbagello Raceway in a Formula 1000 series event. "I've always loved my cars, I've always had that passion," Johnson told the Wanneroo Times. "For me it's that release - it's not quite the same as what I got with cricket but it's a great adrenaline rush for me to get my mind off things. You're going pretty quick, you've got so many technical things to think about - when you're going to turn into the corner, braking, feeling the car. It's been a great process - I'm starting to really enjoy it." Johnson took a liking to motorsport following a charity event, and since then he underwent a training and development programme with Arise Racing, an outfit based in Perth that helped prepare him for the race he'll be a part of this weekend. For Johnson, though, it's not too different from the thrill of fast bowling, whether he's bounding into his delivery stride, or at the other end facing it. "I faced Shoaib Akhtar when I was playing for Queensland," he said. "He's got this massive run-up - the first ball, I was sort of shaking there. His first ball, hit for four, it was a full toss and I ran past and said 'please don't hit me'. It was almost the same as the first time I was driving out here." 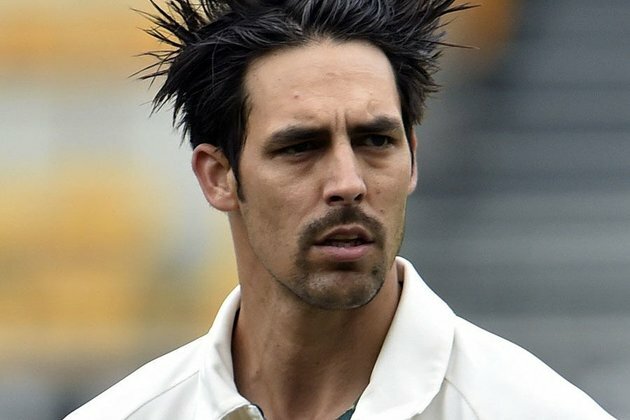 Johnson had retired from all international cricket following a Test series against New Zealand in 2015, finishing as the third-highest wicket-taker among Australia fast bowlers in Test cricket. With 313 wickets in 73 Tests, he's behind only Glenn McGrath (563 wickets) and Dennis Lillee (355). He was a crucial part of the devastating 5-0 Ashes whitewash Australia inflicted on England in 2013-14, when he took 37 wickets at a stellar average of 13.97 and was named Player of the Series. It seems like his days in the fast lane aren't quite done yet. Perth News.Net's News Release Publishing Service provides a medium for circulating your organization's news. © Copyright 1999-2019 Perth News.Net - Mainstream Media Ltd. All rights reserved.